I have always loved beautiful leather gloves. There is something special about them, they always make me feel extra stylish. I love the way the soft leather feels and how it makes my hands look like. I feel like Audrey Hepburn in Breakfast at Tiffany’s, or in My Fair Lady. While I was strolling in Milan’s Galleria Vittorio Emanuele II awestruck by the magnificent architecture and fantastic luxury stores, my attention was drawn to the colorful display of a smaller shop at the other side of the Galleria. I had discovered the Piumelli store. 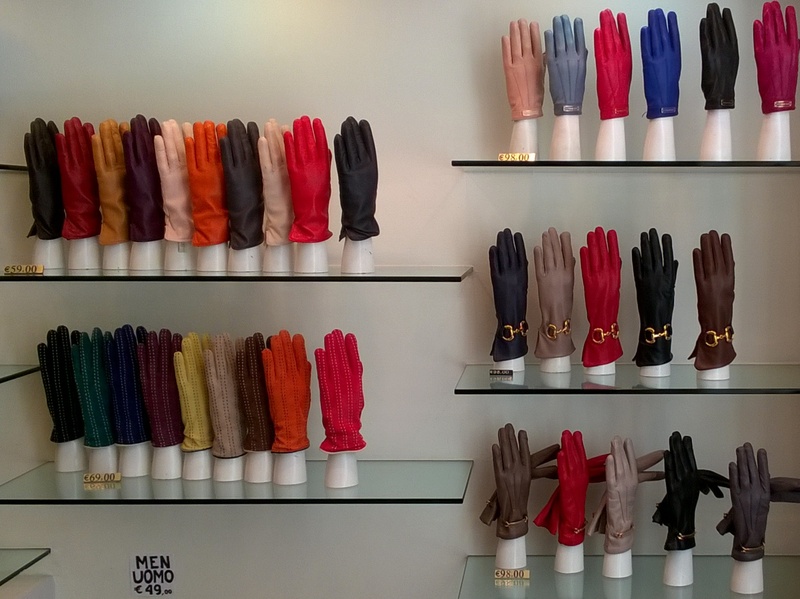 And because I love gloves, I could not just walk by these amazingly beautiful, colorful and luxurious gloves. I ended up buying two pairs of gloves just because they were too beautiful. I bought a cream coloured pair of leather gloves, and another pair that is deep raspberry/burgundy colour with pink stitches and decorative buttons at the wrist. 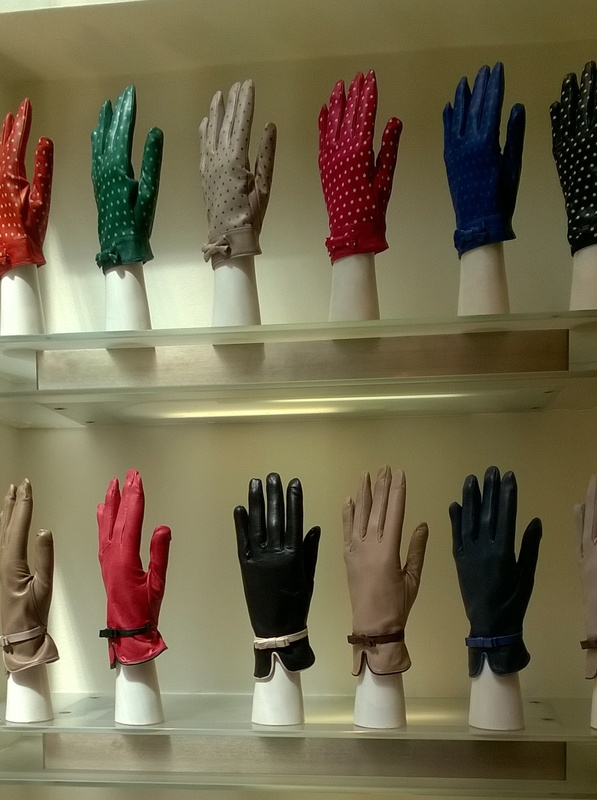 I felt quite lucky that my hand size is 8, because that is the largest size of women’s gloves they have available. There are gloves for also those of us who have longer fingers. Even though it is very stylish to have very short gloves, I prefer the ones that cover the wrist a bit. 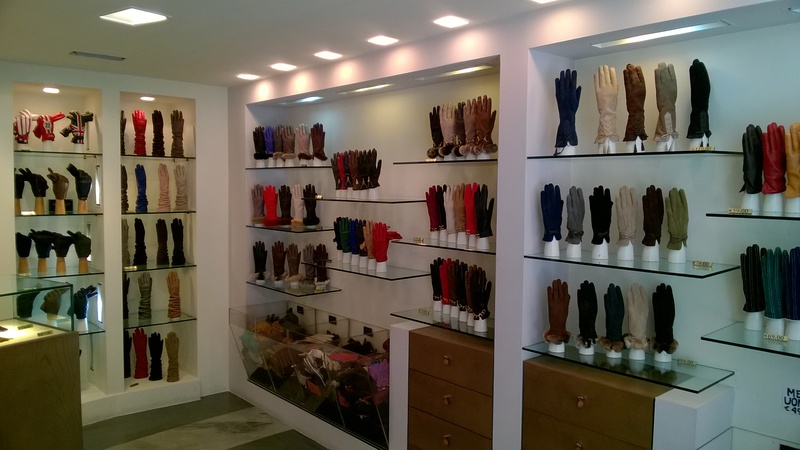 Glove has to be the ultimate fashion accessory and the statement piece when you really want to go the extra mile. You can easily style your A-line dress with a clutch and a suitably coloured gloves to give that quirky 50’s feel. It will look great also when you sit behind the wheel of your car. Imagine yourself driving a sports car, wearing driving gloves, have your sunnies on and the radio blasting your favourite music. If that is not an Italian dream for this summer, then I don’t know what is. these gloves are pure perfection!! love them all! Thank you 🙂 I absolutely love the gloves and have been using the white ones with my new Trench coat. Perfect Match!